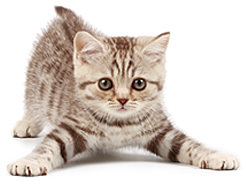 We offer cat health insurance plans for illnesses, injuries and wellness care. New chronic and new recurring conditions are covered at no additional cost. Coverage is available for illnesses and injuries and wellness care. New chronic conditions are covered at no additional cost. With nearly four decades of experience protecting cats, we know that coverage counts. That's why we offer the best coverage for the best value. Not sure where to start? Our buyers guide can point you in the right direction. Start here if your employer offers Nationwide® pet insurance as a benefit. 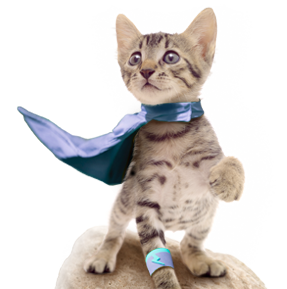 Live veterinary guidance about your cat’s health, from general questions to identifying urgent care needs. Free to all members ($150 value). Only from Nationwide. 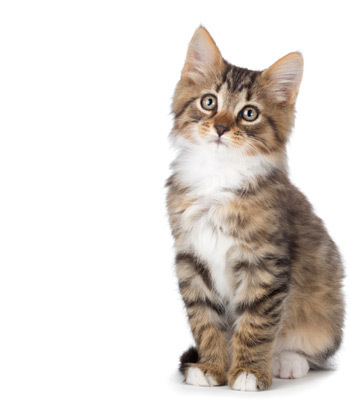 Get up to scratch on pet insurance. Take a mew-ment to get a quote.